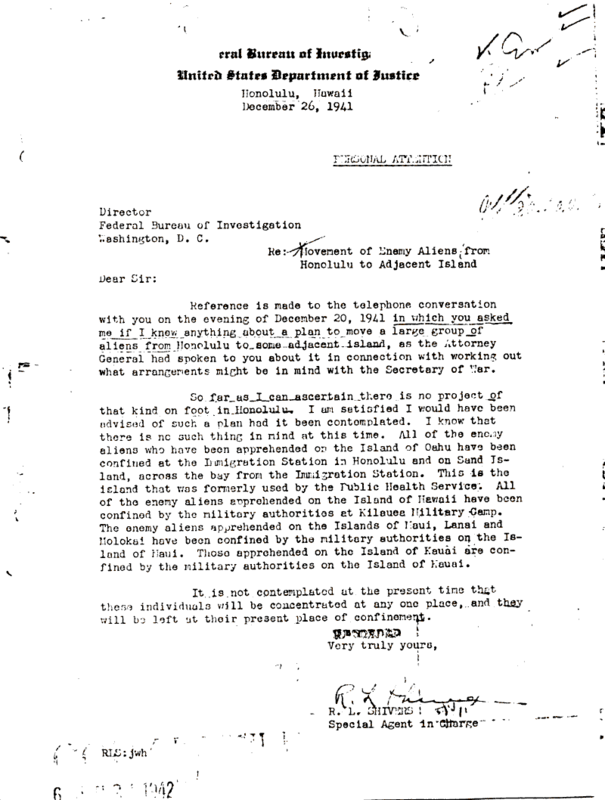 Internment Archives: Letter SAC Honolulu to Director, FBI regarding internent of enemy aliens. Letter SAC Honolulu to Director, FBI regarding internent of enemy aliens. Document Notes: SAC Hawaii replies to query from Director, FBI, regarding the existence of plans to move enemy aliens from main islands to outlying islands. SAC answer is no plans to do so exist.